I love the idea of keeping the traditional wedding cake as part of the reception – it is easier to cut a slice of cake than it is to share a cupcake with your new spouse. But if you could also serve cupcakes – in the same flavor as the mini cake or a variety of flavors – then you’d have the best of both dessert worlds. 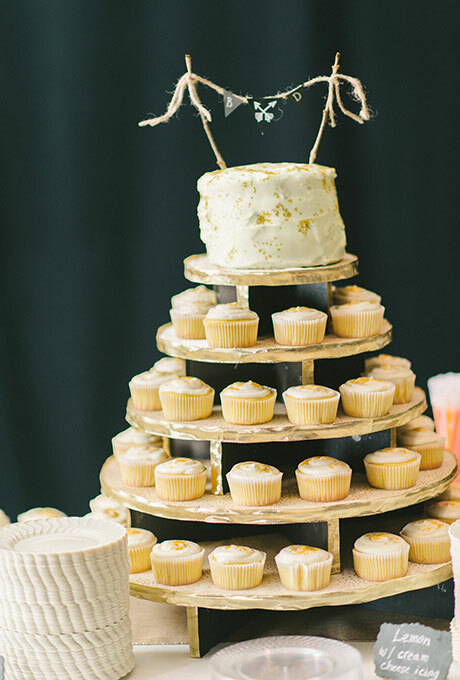 This way the cake can be just for the bride and groom and the guests can enjoy cupcakes and perhaps a fun dessert candy bar thrown into the mix. Variety is the spice of life after all! 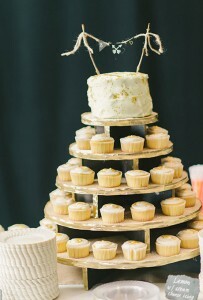 You can see more about this cake and cupcake trend here.